Need to stretch your budget? 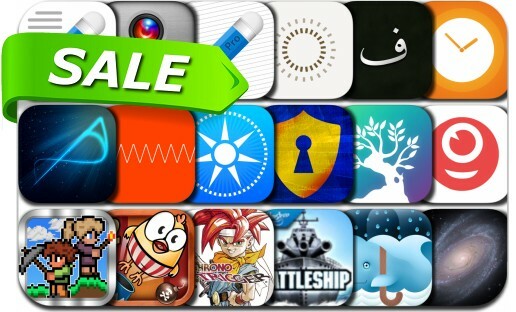 Here are 18 great iPhone and iPad apps that just went on sale. This app deal alert includes Chrono Trigger, Once, Notes Writer+, Notes Writer Pro, Hours Worked Time Clock & Pay, Waterlogue, Calendar Goals Planner, Away, Media Monster, Hasbro's Battleship and many others.